The McKinley community celebrated the official opening of the new addition to the school at a ceremony on Mar. 16. The ribbon cutting ceremony featured student performances and a video of the construction process made by Kirsten Walleck. Key features include an additional 241 seats; a new main entrance and front office; a three-story addition with 10 general classrooms, two art rooms, two music rooms, a gymnasium and stage; support spaces; and a one-story addition with 4 classrooms and support classes. Interior renovations were made to the library and cafeteria and a new playground was installed. Watch the ceremony on Periscope. Elementary music teachers participated in a half-day EdCamp at Nottingham on Wed, March 8. 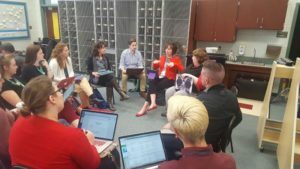 Teachers created a schedule of workshops including using Apps in the Music Classroom, Conversational Solfege, Google Classroom, Prepping Your Music Sub, and more. The EdCamp style allowed for teachers to participate in several relevant workshops in a collaborative setting. Who says Kids can’t make a Difference at Key School? The Team Kids fifth grade Leadership Team met their three-week Challenges: (1) Animal Welfare League of Arlington – AWLA, 2) A-SPAN, and 3) St. Jude’s Children’s Research Hospital. 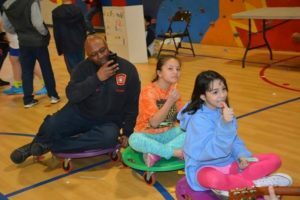 Incredibly, at their culminating event, the school carnival, they sold enough tickets (at 25 cents each) to raise $1,578.39 for their Beneficiary Charity: the Society for the Prevention of Cruelty to Animals (ASPCA). Each Carnival game was homemade, creative and fun, put together by groups of fifth graders, but what you can’t see or feel is the energy that rocked the room! Check out the Carnival Express Train, where there’s a conductor and a guitarist entertainer. 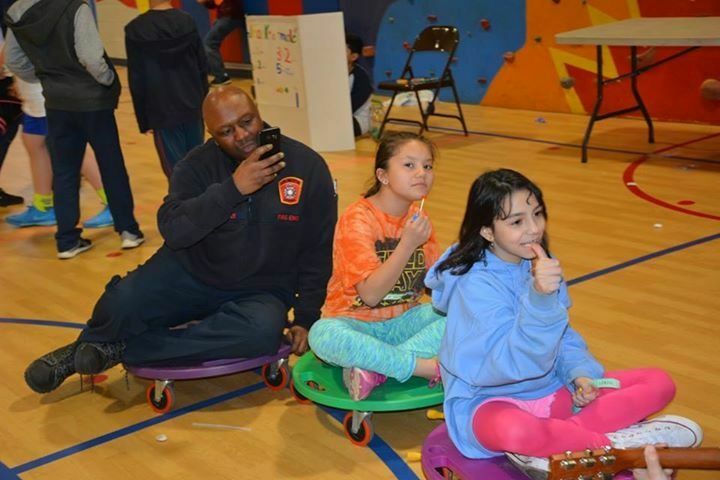 Team Kids continues to empower elementary school students to be civic leaders in partnership with public safety, school, business and community leaders, while having fun in service. Discovery is continuing its partnership with Potomac Vegetable Farms Community Supported Agriculture, as they enter the second year as a pick-up site. Discovery families interested in purchasing locally-farmed vegetables and other foods, like eggs and honey, as well as local flowers, can subscribe for shares that are available for pick-up at the school through the end of the school year and locally at home throughout the summer. You can also take your culinary explorations to the next level by purchasing your own share. Please visit the website for information and to subscribe. If you have any questions, contact Lisa Harper Chang. Second graders love learning about the world. Just as Barrett students were about to embark on their “trip” around the world learning about continents, they discovered someone in the community who was about to travel to all seven continents. One Barrett father was getting ready to participate in the World Marathon Challenge. Mike Wardian, along with other runners, set out to run seven marathons in seven days on seven continents. Students could not believe that one day he was running in sub-zero snowy weather in Antarctica, and just a few days later he was running in the heat of Africa! Each day, students located the continent on the map where the race was taking place and learned a little bit about the climate, language, and other local features. Wardian ended up winning all seven marathons, giving students the opportunity to hold the medals representative of each location. 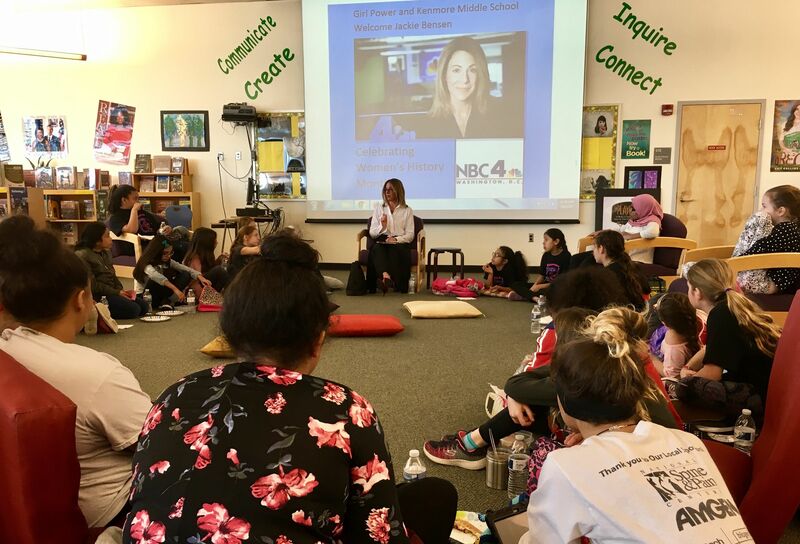 On March 9, Kenmore librarian Holly Ousley invited NBC Washington reporter Jackie Bensen to speak to girls in honor of Women’s History Month. Members of the Girl Power Club, sponsored by reading teacher Teri Taylor, and girls on the Kenmore Cougar News team were invited to attend. Bensen shared her story and answered questions about her job as a news reporter. She also spoke about her struggles of becoming a journalist when everyone around her said she could not do it and more importantly did not look the part. She strongly encouraged the girls to believe in their own dreams and ambitions. On March 1, band leader Brian Fisher invited the “The President’s Own” United States Marine Band to Wakefield. Several of his students were able to enjoy the brass quintet and experience the different styles of music they play together; including a tango, waltz and concert etude. The US Marine Band is America’s oldest continuously active professional musical organization. Its mission is unique: to provide music for the President of the US and the Commandant of the Marine Corps. How long does it take to gather weather data before it goes out to the public? What is it like to be a meteorologist? StormWatch7 meteorologist Josh Knight answered these and other questions during a visit to Taylor’s fourth grade that was organized by teacher Sima Hadley. Students learned about the formation of clouds and tornadoes, reviewed weather instruments and discussed careers in meteorology. After the presentation, Knight explained how the weather van is used to track storms and shared additional insights with some interested fourth graders. The Yorktown Symphonic Band is has been busy learning new skills. On March 3, the band hosted Dr. Timothy Robblee, director of the Shenandoah Conservatory Wind Ensemble, who conducted a clinic with Symphonic Band students. Additionally, on March 9 University of Delaware faculty member Bruce Tychinski and the Trombone Choir conducted clinics and performances for the Concert and Symphonic Band. Band director Brian Bersh arranged for these clinics. Kindergarteners at Nottingham spent a morning studying the moon. 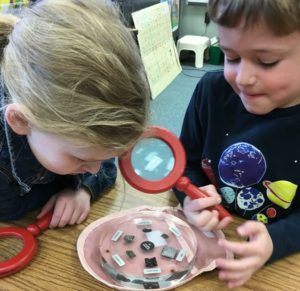 They had the opportunity to look at and handle real moon rock samples, volcanic ash, and meteorite samples on loan from the lunar sample curators at NASA’s Johnson Space Center in Houston. Students spent the morning learning about the first astronauts to walk on the moon and the lunar phases, and then created their own models of erupting volcanoes. Watching the volcanoes erupt helped students understand why some of the moon rocks look the way they do. 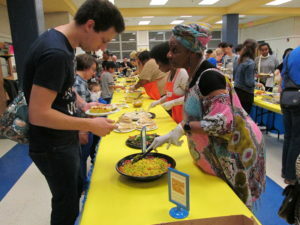 Wakefield celebrated its annual Heritage Show on March 3, sponsored by the Wakefield Asian Club and the SGA. Cultures from the United States, and from more than 10 other countries around the world were represented. Over 45 performers and crew members made this one of the most memorable shows in school history. Watch the full show here or watch the opener “Wakefield’s Formation” here. For photos, visit www.instagram.com/whsasianclub. Inspired by the Journey North Tulip Test Garden project, Oakridge CUBE teacher Amy Slavin, had some of her students plant tulip bulbs a few weeks ago. Recently her students went back out to check on their plants. They were excited to discover their bulbs have sprouted. They measured the growth and compared their findings to their initial prediction. Most were shocked by how much larger their plants were by this time of the year than they had originally anticipated. Students were interviewed and their comments were incorporated into the weekly school news show. Students will continue to monitor their tulip growth. This is part of a school-wide Mosaic exemplar project entitled A Place to Grow, which focuses on comparisons that show how seeds are like families and highlight hands-on gardening projects. 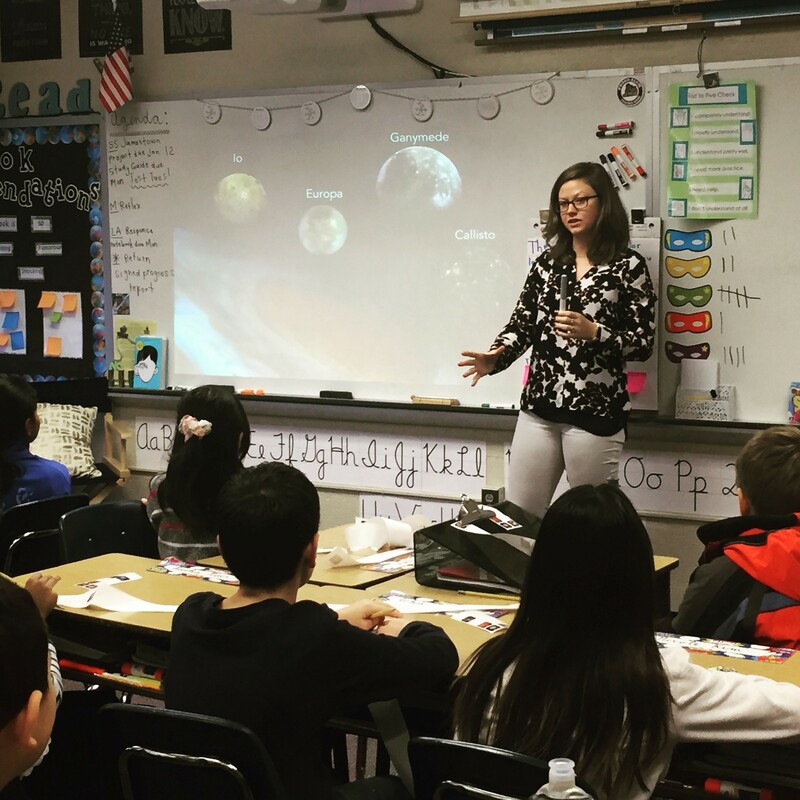 Astrophysicist Sarah Peacock, visited Katherine Zumbo‘s class at ASFS to teach about the inner and outer planets. Dr. Peacock even taught about the exo-planets! 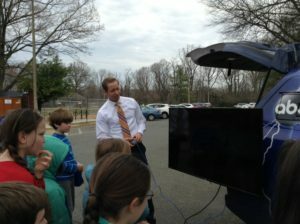 The fourth graders learned and explored the distance of the planets from the sun with a fun, hands-on activity. Many students were shocked by the distances and realized how far the outer planets are! Renowned evolutionary biologists Peter and Rosemary Grant held a Skype call on Mon, Feb. 27 for W-L students in the Little Theater. The Grants are known for producing landmark studies of the Galápagos finches first made famous by Charles Darwin. The Grants have spent six months of the year each year since 1973 capturing, tagging, and taking blood samples of the finches on the island. It has been their lifelong goal to show that natural selection can be seen within one’s lifetime, even within a couple of years. Darwin originally thought that natural selection was a long, drawn-out process. The Grants have proven that this is sometimes incorrect and that these changes in populations can happen very quickly. Both currently hold Emeritus Professor positions at Princeton University. Dr. Peter Grant was made a Fellow of the Royal Society in 1987 and Dr. Rosemary Grant earned that honor in 2007. In 2008 both were among the thirteen recipients of the Darwin-Wallace Medal, which is bestowed every 50 years by the Linnean Society of London. In 2009 they were recipients of the annual Kyoto Prize in basic sciences, an international award honoring significant contributions to the scientific, cultural and spiritual betterment of mankind. The work of the Grants has had a seminal influence in the fields of population biology, evolution and ecology. The call was organized by teachers Lourdes Sotomayor, Dawn McCoart and Beth Black. Hoffman-Boston All Stars celebrated their diverse community with another successful MultiCultural Night. Families participated in a Parade of Nations, representing over 30 different countries! Then it was off to family games, activities and experimenting with instruments from many different cultures. And, of course, the highlight of the evening, food tasting with dishes from around the world! Nothing says “Mardi Gras” like piping hot beignets. On Fat Tuesday this year, Williamsburg French teacher Julie Smalfelt and FACS teacher Eileen Colihan combined their classes for a collaborative lesson about Mardi Gras — highlighting history, culture, and language. Following the presentation, students indulged in their very own, home-made beignets. 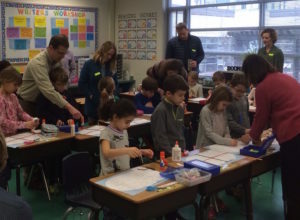 Students, parents, and teachers enjoyed a morning of learning together at Tuckahoe’s annual Curriculum Day. 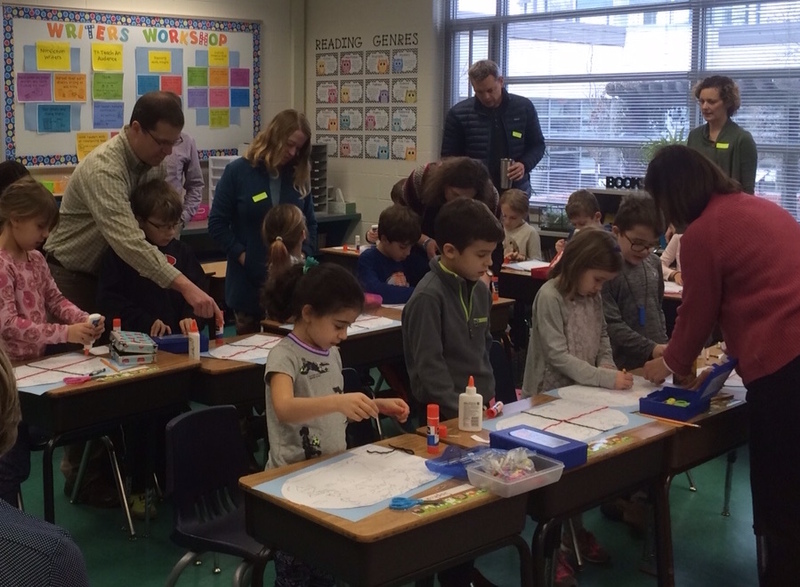 During the event, parents joined their children in rotating through half hour sessions, each focusing on a different curriculum area. Some of the activities included playing math games, writing poetry books with the Book Creator app, and using tooth picks and marshmallows to review polygons.